Tamil Nadu, a state in South India, was ruled by different dynasties in the history and has an extraordinary cultural legacy which has come through and inherited by years. The state has nearly 62 million tamilians who belongs to the most renowned Dravidians. The flourishing culture of Tamilians is more than 2,000 years old and has grown in a healthy and vigorous way attracting the attention of people worldwide. There are about 74 million Tamil people in the world scattered in different places of the continents. The history of the origin of the Tamilians according to the records is said to be more than 2,000 years and they belong to the Dravidian family, an ethnic group from South Asia. They speak the Dravidian language- Tamil. It was believed that they have been living in the southern parts of India and the northeastern parts of Sri Lanka. The ethnicity of the Tamilians has to do with political and religious symbols of varying importance of which some have more and greater relevance applying to social issues and cultural boundaries. When it comes to the ethinicity of the Tamil people, it is usually identified by their jati title or jati name which most of the time defines their language, occupation and political affiliation. – One of the most ancient and rich traditions in the world is that of the Tamilians. The traditions are part their life and they also strictly adhere to it, which includes lot of rituals and ceremonies. The traditions of the tamilains are part of their identity across the world. These rich traditions of the Tamil which are deep rooted are supposed to be quite old and have evolved over many centuries.Whichever part of the world we go will not miss out on the tradition of rangoli or the kolam by the tamilian. The tradition of drawing figures at the doorstep is supposed to be a unique culture followed by the Tamils. They believe that the closed continuous figures of the kolam depicts the never ending cycle of birth and death. Also it is believed that the rangoli separates the inner and outer world guarding the household and also gives a warm welcome to the guests. As a practice of thanking the god for the birth of a child, when the child is nearly a year old shaving its head is also a tradition followed in Tamilnadu. Religion plays a harmonious role in the people of Tamil Nadu. But however the religion is not of a uniform or single pattern for they preach both the ritualistic and supplicatory aspects of the same. Their rituals are related to animism and the other forms of deity worship. There are tree worship, stone worship, animal worship and the worship of stars and planets. Hinduism forms the major religion followed in the state followed by Islam, Christianity and Jainism. In their chiseled splendor and symmetrical form, the bronzes of Tamil Nadu testify the grandeur of an art form that reached the peak of perfection a thousand years ago. 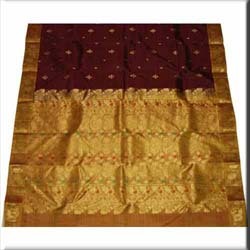 The people of Tamil Nadu are known for spinning and weaving which is the most important and widely practiced craft. The textile products are known for their beauty and fineness, especially the silk and cotton fabrics. 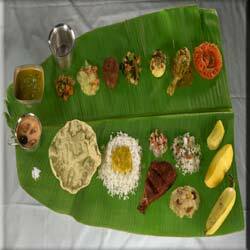 Food evokes strong emotion and it is a celebration of plenty. Pickles are the life of every Tamil meal which covers a broad range from fermented pickles, fresh pack pickles and fruit pickles. Added to the feature of the Tamilian cooking which distinguishes it from the rest is tempering which involves heating a little oil to which small amounts of mustard seeds and curry leaves are added.The Tamil people are accustomed to good food whether vegetarian or non -vegetarian. The non vegetarians take mutton, turtle, fish, venison and flesh of the hare. There are references to spirituous liquors, opium, betel leaves and nuts. The Chettinadu recipe is one of the cuisine followed in Tamil Nadu which tops the list and makes the foreigners coming here to smack their lips. Sambhar is an unavoidable dish of the Tamils which is a must for either one of the meal in a day. Rice is a staple food of Tamil Nadu. Traditional cookware enjoys pride of place in the food of the Tamils with very good reasons. Iron vessels like karhais help to increase the level of iron in the food. The Tamilians are quite industrious. A large population is engaged in industries and commerce, both inland and foreign. Shipping and other allied industries are developed to sustain foreign trade. Weaving is a part time occupation of the farmers and a regular full time occupation for many others. Tamilnadu had certain commodities which are in demand in foreign market and they are pepper, cardamom, cinnamon and turmeric among spices and ivory and pearls for luxurious ornaments. Perunthalaivar Kamarajar -Perunthalaivar Kamarajar is not only a famous personality of Tamil Nadu but also the real King Maker of India. He played a major role in putting an end to the British rule. Viswanathan Anand – a born Tamilian is a native of Chennai has won the world championship in Chess for five times. He is also the current Indian Chess Grandmaster and the World Chess Champion. He has been honored with the Rajiv Gandhi Khel Ratna Award and the Padma Vibhushan awards, the former being the highest Indian Award for sports while the latter is the second-highest, civilian award in India. Jayakanthan– is an eminent writer from the Cuddalore district and has been invited as a state guest by the Russian government and was honored with the Nehru Literary Award. A.R. Rahman– born in the year 1966 is world’s most prominent and eminent music composer. He is not only a music composer but also a multi instrumentalist and philanthropist. He has won two Grammy Awards, four National Film Awards, twenty eight filmfare Awards and numerous other awards and nominations.